Rejoice, the long awaited new release from The Shins has arrived. For fans it has been a long wait since the 2012 release of Port of Morrow. The anticipation for a new release was ratchet up with the sneak peaks and facebook postings from remaining member and band founder James Mercer. Mercer seemed to be forewarning of the release since the fall of 2016 on said site. It has taken Mercer a few years to slip back into his Shins persona, but the resulting release “Heartworms” makes the wait worth the agony. The March 10th release of Heartworms answers a lot of questions that have been hovering about The Shins franchise. Would Mercer recruit another lineup or continue to utilize a varied list of supporting musicians? Would the theme be lighter in tone or would it be as dark as “Port of Morrow”? Additionally how much would frequent collaborator and producer Danger Mouse be involved with the new release? Finally would “Heartworms” be heavily influenced by Mercer’s side project Broken Bells, reach back to The Shins’ debut or be something completely different? The answer to the first question is, it is complicated. The other answers reading from left to right are yes there is a lighter tone; Mercer produced this one without Danger Mouse and finally the latest release is a magical amalgam of many influences. Most of all the new release is an enticing journey back through Mercer’s past and a revealing look into his present state of mind. The album references early Shins sonics but additionally shows how far Mercer has come since the brilliant debut of Oh Inverted World. The songs are nostalgic and emotionally honest yet retain all the clever wit and pragmatism that the Shins’ music has always contained. The Shins formed in 1996 originating in Albuquerque, NM with James Mercer as ever the guiding light of the endeavour. In the years since the band first came to renown there have been many changes. The original line up is now down to Mercer alone. 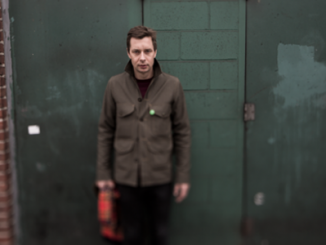 His home base is Portland, Oregon, and the label has changed from Sub Pop to Columbia. “Heartworms” is The Shins fifth album and was produced by Mercer with former Shins member Richard Swift producing the track So Now What. Mercer explains he decided to produce the album himself because it was such a stop/start process and he did not want to obligate or tie up other professional’s schedules. This decision led to a very organic process where when he felt he had something to record he would traipse through the back yard to his home studio and record his ideas. This allowed him to work his family routine into the schedule of recording. Along the way he utilized a number of musical contributors adopting the same process he used with the band line up on “Port of Morrow”. Five years is a long time to wait for a new release and there have been those who wondered if another Shins release would materialize or if Mercer would move on to only releasing original material under the Broken Bells moniker. Mercer has explained the length of time between the releases as being laziness on his part. But that is not entirely true, far from lazy; Mercer has in the time between Shins albums released the second Broken Bells album, “After the Disco” and toured the release around the globe all while assisted on various other projects. Other accomplishments were his creating the acclaimed college app Pasted and all the art for the “”Heartworms” cover and merchandize. On ”Heartworms” Mercer is captured again doing what he does best. He continues as an apt example of a musical master craftsman developing delectable hooks and harmonies and fleshing them out with lyrics about happy or doomed relationships as the central theme. 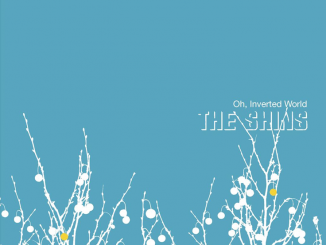 The release is everything good about the Shins with a smattering of influence from his Broken Bells side project. For admirers of Oh, Inverted World there will be many things that are quickly recognizable. However this is not a reheat of the debut, but instead Mercer performing his special kind of alchemy; where he brilliantly blends the recognizable with the newly engaging. The new release captures Mercer taking a moment to appreciate what has come before while eagerly charging into his next musical manifestation. On the subject of this reflection he has stated when looking back on the years of The Shins existence he recalls, “ (Being told to) grow up and it being the best and worst advice that has been given to him.” Coming to terms with that advice is a central premise of the new record. It only takes a few notes to acclimate yourself to the album. Name for You is like coming home for seasoned Shins fans. It is classic Shins sonics matured like a fine wine. The track speaks to Mercer’s hopes for his wife and daughters and what they can accomplish. There is an awe expressed about his female family members and likewise all females. His admiration reminds me of the analogy that all women like Ginger Rogers have the harder job, in her case because she had to do everything Fred Astaire did only backwards. He seems enthralled with how women overcome the challenges thrown at them and come out mostly victorious. He also reminisces about the past as mid age envelops his timeline. The track is enhanced by a sunny and bright sound that makes it as addictive as it is prescient. Painting a Hole is delectable with a fantastic balance of percussive polyrhythms and interstellar psychedelics. This post punk tune is beautifully engineered using all the studio techniques on hand but paradoxically is very direct and uncomplicated. Again displayed is a song that is easily identifiable as the Shins but well matured and textured so it is in no way a reheat. Fantasy Island reminds me of The Shins work on Wincing the Night Away. The track has an entrancing pixilated keyboard sound. The tone is lower key and has a slower tempo which creates a dreamy nostalgic feeling of introspection. “All my life compromise on the wings of resignation… desperately wanting attention.” Here is the pragmatism that Mercer has always conveyed in his lyrics, keeping hope and angst in balance. Also don’t miss the amazing bass line at the end of the song. This track captured me from the first listen, and continues to grow on me with each new encounter. Mildenhall had a touching back story. The narrative tells the story of how Mercer became a musician. It explains how Mercer came to live for five years in the late 80’s in Suffolk UK. His family followed his dad’s USAF assignment to Mildenhall Air Force Base. It was a potentially homesick making situation that changed his life when a classmate handed him a Jesus and The Mary Chain cassette. That cassette would start Mercer messing around in his room with his dad’s guitar taking his first steps towards his musical career. 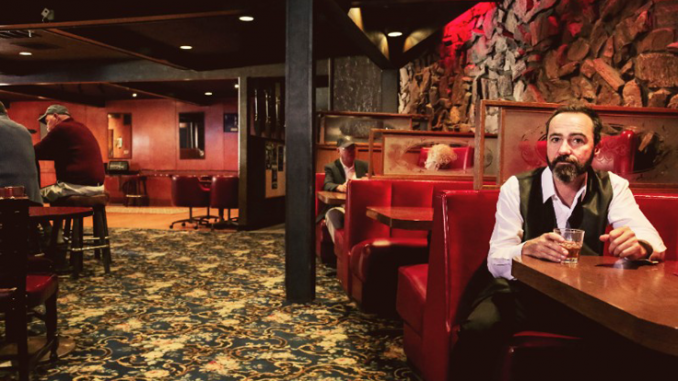 The track is sonically a departure from the usual Shins sounds with a country and western flair which is hat tip to his amateur country and western singing dad. The song is so touching and is like a travelogue back to that moment when the musical spark caught fire. I for one am eternally grateful to Jesus and the Mary Chain for inspiring Mercer and his subsequent musical creations. I am only left to wonder which JMC tape it was? The song is a centere piece of the album going to the core of emotions Mercer is conveying throughout the recording. The song Rubber Ballz switches from the retrospective journey of “Mildenhall” to a sun lit pop confection. The song is about a girl who strokes her own ego at the expense of the lovelorn narrator. He knows she is just using him but he is captured in her web. The song is totally relatable to anyone ever caught in an awkward one sided epic crush. The track effectively recalls all the agony and commiserates. Half a Million is a wry rocker that cleverly examines the promises we made ourselves as we were growing up. Those promises are reexamined from the viewpoint of middle age. Here again the music is the transporter to that earlier time. Dead Alive is a companion to Mildenhall again examining the differences Mercer noticed between the US and UK; one with a sun soaked west coast and the other with the ever present rain of the UK. The song has a wonderful psychedelic pop vibe with a spectacular Hammond organ effect. By the end of the song Mercer ends up treasuring the perspective he gained from both locations. The title track Heartworms is the briefest track on the album but still delivers quite a punch. This track could have fit on “Oh, Inverted World” without skipping a beat and likens obsessions of the heart to the inability to get rid of heartworms that lead to doom. So What Now probably has the most Broken Bells sonic of the collection which seems counter intuitive with former Shins band mate Richard Swift at the controls. The scintillating swirling ballad is a lovely song about the endurance needed in a relationship. It asks in the song where do we go after so long together, “I had this crazy idea we were somehow close to the end… what do we do, just begin again”. It acknowledges long term commitments are hard but worth it in the end, “Hope you know you’re my best friend.” That touching sentiment makes it a winning selection. When you think that James Mercer has utilized every weapon in his vast collection he unleashes The Fear which readily displays his impeccable ear. The song combines an acoustic guitar with a Mexicali mariachi vibe to create a beautiful lullaby pointing out how we should never let fear keep us from our full potential. The song oscillates from the quieter emotions of acoustic guitar to cacophonic noise and back again making for an enticing selection. Throughout the song he also jumps from the large things that keep us from our dreams to the little things that are just as deadly. He condemns how we waste time with lines like, “We’re spending another pointless year foaming at the mouth.” In the end the message is just do it! It can be agonizing for fans of many established performers to wait for their new releases. Like many bands that fall into this classification The Shins can never be accused of hasty releases, but in this case the wait is so worth it. There is not a subpar song in the playlist. Each song is a magnificent creation impeccably written, produced and performed. 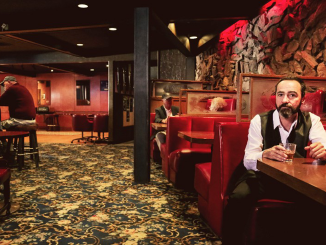 James Mercer once again displays his plethora of skills in the popular music arena; a medium which all too often goes for that which is create quickly and best described as tawdry over the craftsmanship and quality on offer with Heartworms. If time is what is needed for Mercer to produce this kind of release I for one can wait as long as it is necessary.